It was exciting to have Catherine Witt’s new horse Secret Night out competing for the first time. 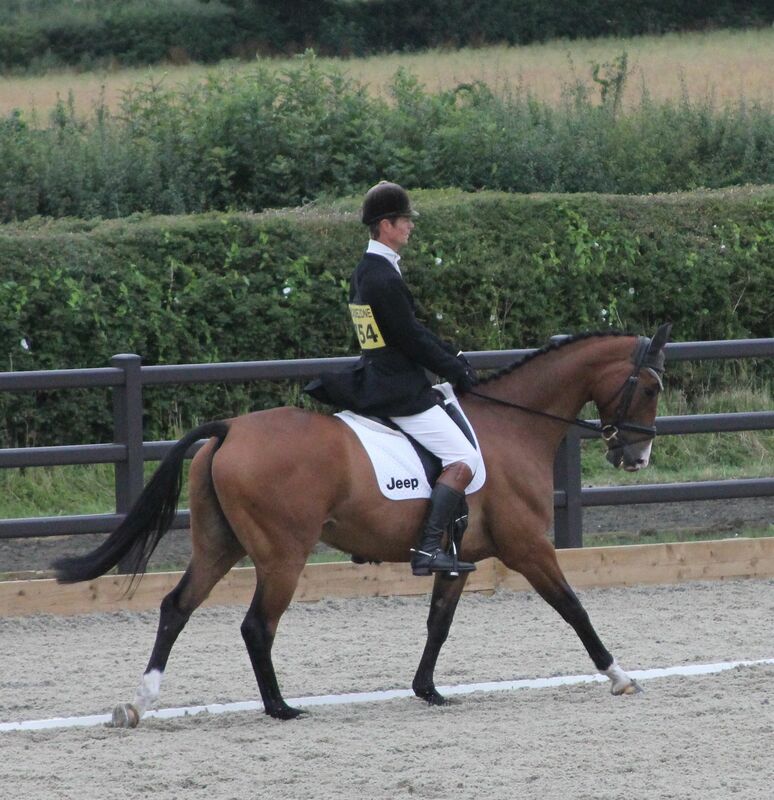 You never know what to expect, but he is a very nice horse, and I was delighted with how he went. He did a very nice calm test to score 26.5, some good clear show jumping, and had an enjoyable run cross country for 10.4 time faults to finish 7th. He felt very straight forward and uncomplicated, which bodes well. My other three were running in the advanced, Luxury FH and Fernhill Pimms were having their first competition since their 3 days. Luxury was a bit short changed on the dressage warm up, totally my fault, he ended up with a score of 32.1 after a test that was slightly on edge. With the mistakes he made I was delighted that he still managed to score very well on some movements. He jumped an excellent show jumping round, really using himself well and felt great cross country jumping a nice slow clear. Bay My Hero did an excellent dressage to lead on a score of 24.6, he made just one small mistake but was otherwise faultless. He then jumped a good clear show jumping, and we decided not run him cross country as he has already had an outing at Barbury. We were very lucky with the rain, which came just in time to soak us all on Friday. Nigel had worked hard on the ground and the rain was the icing on the cake. Ramdam De Mons had a much more successful run, producing a lovely test of 23.6, he then jumped clear show jumping and went really well cross country. 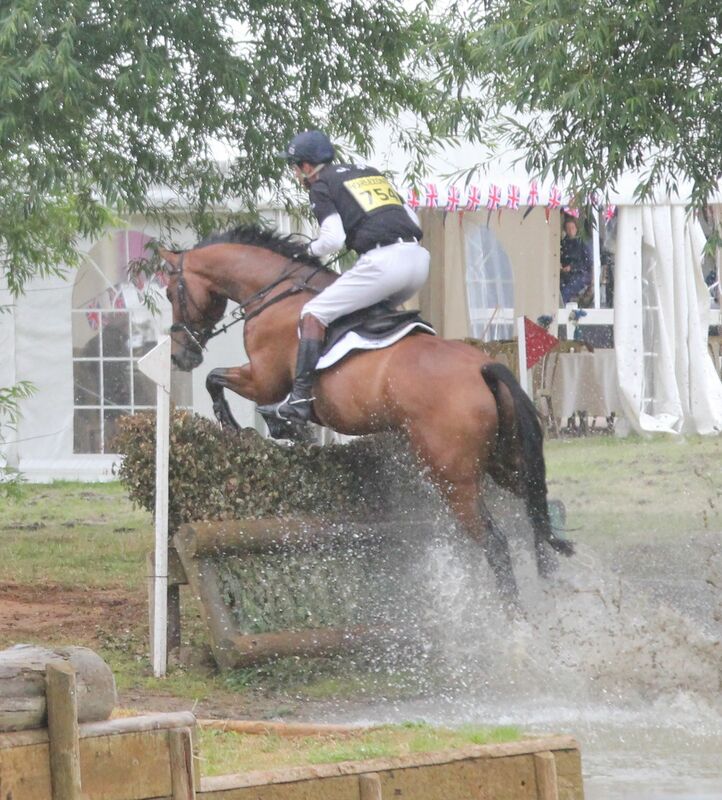 There was however a lucky moment at the water when he tripped landing, and did really well to recover himself to jump the bank out. I also managed to get stuck the wrong side of some stringing (I hasten to add - as did several people) which contributed considerably to my time faults! Dynasty had an excellent day, starting with another good dressage test of 29.6, I was delighted with his clear show jumping which was very grown up and confident, and he gave me a superb ride cross country, also getting a few time faults.